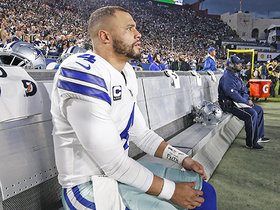 Prescott completed 22 of 35 passing attempts for 273 yards, a touchdown and two lost fumbles while adding 33 yards and another score on six carries in Sunday's 20-17 loss to Washington. Prescott completed 17 of 27 pass attempts for 183 yards and two touchdowns Sunday against the Jaguars. He also carried 11 times for 82 yards and another score in the 40-7 win. Prescott completed 18 of 29 passes for 208 yards with one touchdown and two interceptions during Sunday's 19-16 overtime loss to the Texans. He also rushed six times for 34 yards. Prescott completed 17 of 27 pass attempts for 255 yards and two touchdowns during Sunday's 26-24 win over the Lions. Prescott completed 19 of 34 pass attempts for just 168 yards with one touchdown and two interceptions in Sunday's 24-13 loss at Seattle. He also rushed two times for 21 yards. 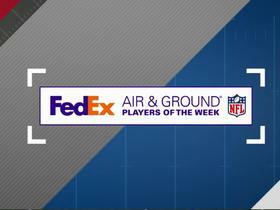 Prescott completed 16 of 25 passes for 160 yards and one touchdown during Sunday's 20-13 victory over the Giants. He added 45 rushing yards on seven carries. 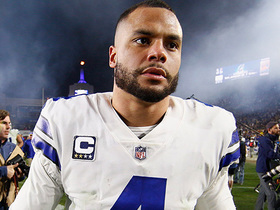 Prescott sustained an ankle injury late in Sunday's loss to the Panthers, but he practiced Wednesday and will do so again Thursday, Clarence E. Hill Jr. of the Fort Worth Star-Telegram reports. Prescott completed 19 of 29 pass attempts for 170 yards and one interception during Sunday's 16-8 loss to the Panthers. He also carried five times for 19 yards. Prescott is not in line to play in Sunday's preseason game against the Cardinals, David Moore of The Dallas Morning News reports. 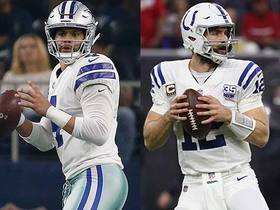 Analysis: The same applies to running back Ezekiel Elliott, which sets the stage for the duo's next game action to arrive in Week 1 of the regular season, against the Panthers. 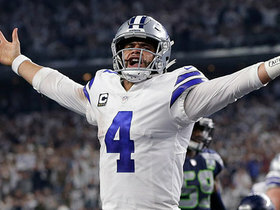 Cowboys owner Jerry Jones doesn't expect Prescott to play in Sunday's preseason game against the Cardinals, Kate Hairopoulos of The Dallas Morning News reports. Analysis: Prescott played in both of the Cowboys' first two preseason games, completing 13 of 18 passes for 125 yards and two touchdowns across four drives. 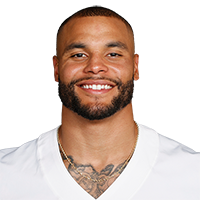 Coach Jason Garrett will make the final decision for Sunday's game, but Jones is probably correct that Prescott has already taken enough snaps this preseason. 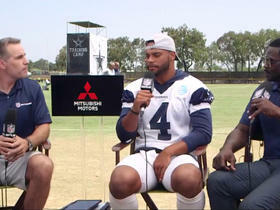 Prescott said Tuesday that he has lost about 10 pounds since the end of last season, Jon Machota of The Dallas Morning News reports. Prescott completed 17 of 30 passes for 179 yards and a touchdown while running the ball twice for 16 yards in Sunday's 6-0 win over the Eagles. Cowboys head coach Jason Garrett confirmed Wednesday that Prescott and the team's other healthy starters would play Sunday against the Eagles, Clarence E. Hill Jr. of the Fort Worth Star-Telegram reports. Prescott completed 21-of-34 passes for 182 yards and two interceptions against Seattle on Sunday, adding four carries for 21 yards. Prescott completed 18 of 27 passes for 212 yards and two interceptions during Sunday's 20-17 victory over Oakland. He also rushed six times for 32 yards and a touchdown. Prescott completed 20 of 30 pass attempts for 332 yards and three touchdowns Sunday against the Giants. He also carried six times for 13 yards in the 30-10 win. 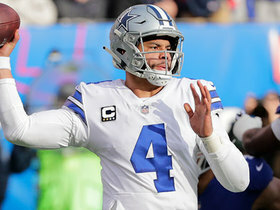 Speaking after Wednesday's practice, Prescott confirmed that his bruised right hand is no longer an issue, Rob Phillips of the Cowboys' official site reports. Analysis: Prescott was bothered by the injury during the Cowboys' 38-14 win over the Redskins in Week 13, completing 11 of 22 passes for 102 yards and two touchdowns without missing a snap. He acknowledged that there was some swelling, but the long rest between games seems to have worked in his favor. Prescott was a full practice participant Wednesday and said he won't have any limitations for Sunday's road game against the struggling Giants. 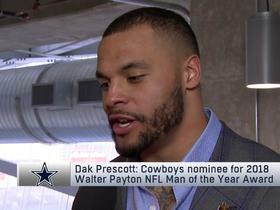 Prescott, who bruised his throwing hand in the Cowboys' Week 13 win over the Redskins, will play Sunday against the Giants, Ian Rapoport of NFL Network reports. 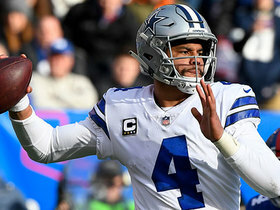 Prescott, who was diagnosed with a bruised right hand during the second quarter of Thursday's 38-14 win over the Redskins, doesn't believe the injury will present any issues going forward, Todd Archer of ESPN.com reports. "It just swelled up," Prescott said of his hand. "I was fine. Got great trainers and doctors, wrapped it up, fixed it up, and we're good to go." Prescott completed 11 of 22 passes for 102 yards with two touchdowns and no interceptions in Thursday's 38-14 win over the Redskins. He also rushed five times for 28 yards. Prescott completed 20 of 27 passes for 179 yards and two interceptions in Thursday's 28-6 loss to the Chargers. Analysis: He did have a long TD run called back due to a holding penalty, but otherwise Prescott was once again ineffective, and the Cowboys' offense seems to have fallen completely apart without Ezekiel Elliott. 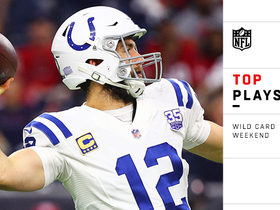 The second-year QB will get a few extra days to try and figure out how to turn things around before Week 13's home tilt against Washington. Prescott completed 18 of 31 passes for 145 yards and three interceptions during Sunday's 37-9 loss to the Eagles. He also carried twice for 10 yards while losing one fumble. Prescott completed 20 of 30 pass attempts for 176 yards and rushed six times for 42 yards and a touchdown in the Cowboys 27-7 loss to Atlanta. He also lost two fumbles. Prescott completed 21 of 33 pass attempts for 249 yards and two touchdowns Sunday against the Chiefs. He also carried three times for 27 yards and a touchdown in the 28-17 win.